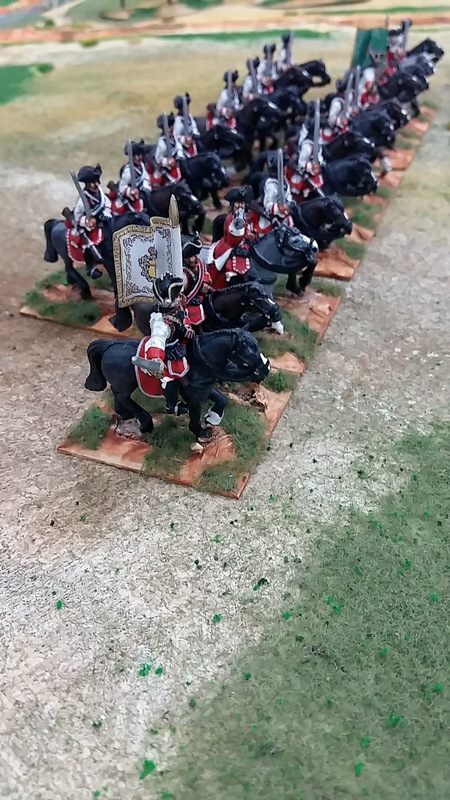 The fourth and final Austrian Cuirassier regiment is done and I have just two Dragoon regiments to go! 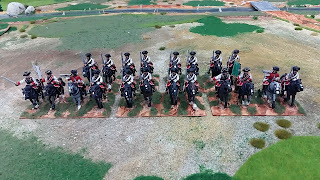 "In early June 1760, the regiment formed part of the Austrian Grand Army encamped at Plauen near Dresden and was deployed in the first line of the cavalry right wing. It was attached, with Stampach Cuirassiers and Buccow Cuirassiers to Gemmingen's Division. During the following campaign, the regiment was assigned to the right wing of the main army led by Field-Marshal Daun. On November 3, at the Battle of Torgau, as the Prussian cavalry charged the Austrian infantry, the regiment along with Buccow Cuirassiers counter-charged the enemy and put them to flight. 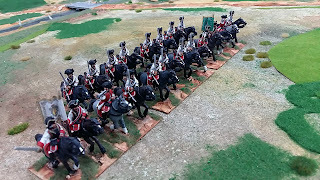 The regiment then continued to advance under heavy artillery fire. Colonel Hueber was wounded by a cannon-ball and Lieutenant-Colonel Count Tige assumed command. 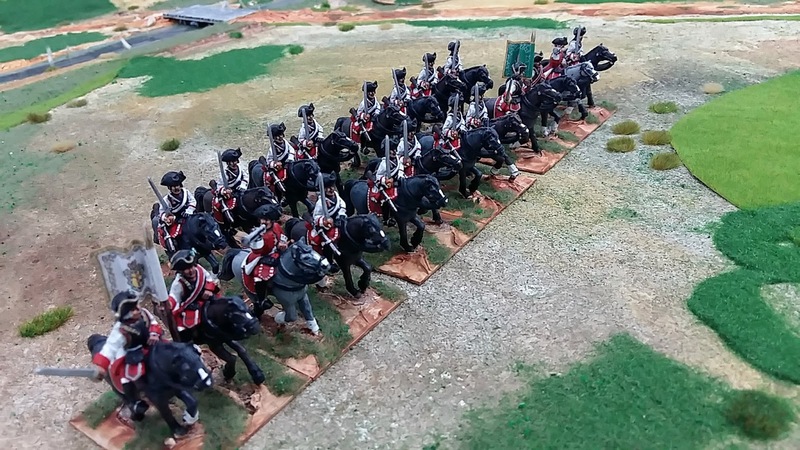 A Prussian infantry formation of 3 regiments and four grenadier companies then blocked the advance of the regiment. Major von Wimmersberg and Captain Count Deym at the head of two squadrons fell on the flanks of this formation while Lieutenant-Colonel Count Tige charged it frontally with the remaining squadrons. Thus surrounded, the Prussians soon routed. A great number was killed and 3 officers, 519 men, 1 gun and 12 flags were captured."